Can China pilot a soft landing? Can China pilot a soft landing? Can China pilot a soft landing? In recent years, China has sustained high growth, resulting in impressive improvements in domestic living standards and ongoing support to the global economy. However, this economic strength has partly relied on unsustainable policies, particularly credit growth. The authorities have shown increasing awareness of these vulnerabilities and the accompanying need to transition to a more sustainable economic model. However, they are also keenly focused on ensuring that the short-term social costs of this transition remain manageable. Building on the Article IV review (to be published in August), this presentation by Markus Rodlauer (IMF Deputy Director, Asia and Pacific Department) and Geoff Gottlieb (IMF Senior Economist, China) will detail the IMF’s recommendations for completing China’s transition to a new growth model. 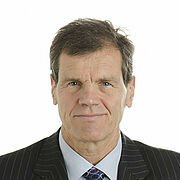 Markus Rodlauer is Deputy Director of the IMF’s Asia and Pacific Department (APD). Among other leadership responsibilities, he oversees the Fund’s China team which has conducted the annual Article IV consultations with the People’s Republic of China in recent years. His previous jobs at the Fund included Deputy Director of Human Resources, Deputy Director in the Western Hemisphere Department, Mission Chief for a number of countries in Asia, Europe, South America, and IMF Resident Representative to Poland and the Philippines. Dr. Rodlauer worked with the Austrian Federal Ministry for Europe, Integration and Foreign Affairs before joining the IMF. His academic training includes degrees in law, economics, and international relations. 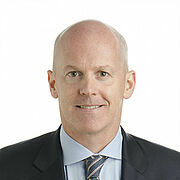 Geoff Gottlieb is a Senior Economist on the IMF’s China team and Mission Chief for Macao SAR. Previously, he was a member of the IMF’s Greece team where he was responsible for fiscal and debt issues during the 2012-2014 programme. Prior to coming to the IMF, his career spanned public and private sector institutions including the U.S. Treasury, Goldman Sachs, Fortress Investment Group and the Earth Institute at Columbia University. He attended Brown University and received an MSc in Economics at the University College Dublin. 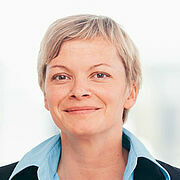 Moderation: Genia Kostka is a Fellow at the Hertie School of Governance and was Professor of Governance of Energy and Infrastructure before that. Her research and teaching interests are in energy governance, public policy, and political economy, with a regional focus on China. 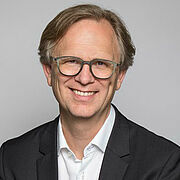 Welcome: Mark Hallerberg is Professor of Public Management and Political Economy at the Hertie School of Governance and is Director of the Master of Public Policy and Master of International Affairs programmes. His research focuses on fiscal governance, tax competition, financial crises, and European Union politics.